“Canvas” is officially released to the public!! Check it out on iTunes, Apple Music, Spotify, Google Play, or anywhere else you listen to your music!! I’m incredibly excited to announce that NEW music is on the way! Keep your eyes peeled for my upcoming single “Canvas”, available for iTunes preorder on October 31, 2018, and general sale on November 9, 2018! Last night, we threw a celebration for my debut music video, "Little Girl Blue", to a sold out show at the Jazz Bistro. And today, I'm thrilled to share this video with all of you. Big thanks to James Salmon and his team for putting this together! Directed by: JAMES SALMON Produced by: JOSH HARMER & ARTYOM NOVIKOV Cinematography by: AIDAN TANNER 1st AC: MATT LG Swing: STEFAN V In Association with: ARTLITE RENTALS LTD. & DISTRICT 28 Special Thanks to: NATE WILSON Shot on the Panasonic GH5. Excited to announce that a new project is in the works... check out a sneak preview below! It's been a bit of a hiatus, but Eliza is back and excited to announce some new gigs coming down the pipeline! First off is a gig at the incredible Bloom restaurant in Toronto, with Mark Kieswetter and Ross Macintyre. August 25, 2016 - 7 pm start time! Visit http://bloomrestaurant.com/eliza-pope-trio-august-25-7pm/ for details and to reserve! And stay tuned for Eliza's gig with a quartet to close off the Royal Botanical Garden's Summer Jazz and Blues series, which is coming up on September 7, 2016! Exciting news today, this time from the Toronto Independent Music Awards, where Eliza was just nominated in the category of Best Jazz Vocal, along with fellow Toronto musicians Ori Dagan, Natasha Roldan, and Jordana Talsky. The winner will be announced at Revival on College on October 23rd - tickets at http://www.ticketscene.ca/events/13582/. So incredibly excited to announce that "Hit the Road Jack" was selected as a semi-finalist under Vocal Performance in the Unsigned Only Music Competition! Take a listen to the track here: https://www.youtube.com/watch?v=KAEdmBMSe0A! Loving the good news that keeps coming this way! Here is another wonderful review of "Call Me a Fool", this time from the kind people at Whole Note Magazine! Absolutely over the moon about our new review, courtesy of Mark Rheaume at CBC Radio! Such kind words for "Call Me a Fool"! Check it out on the "Music" Page! The big day is here! I'm overwhelmed with excitement, and I cannot wait to see everyone come out tonight for our launch at the Jazz Bistro! It's going to be an incredible day! Check out the review for Call Me a Fool from New Canadian Music! Wow, what an honour! Remember to tune in to CBC Radio 3 between 8 - 9 pm tonight to hear a tune off Call Me a Fool! Tune into CBC Radio 3 tomorrow between 8 - 9 pm to hear "Here Comes the Sun" off my debut album! http://music.cbc.ca/#!/radio3, or Sirius XM channel 162. And this Saturday, at 4:30 pm tune into Canoe FM (100.9 or http://streaming.canoefm.com:8000/canoefm.mp3.m3u) to listen to a live interview! We'll be discussing the album and you'll get to hear some tracks! So excited to announce that the launch of "Call Me a Fool" is only 1 month away! 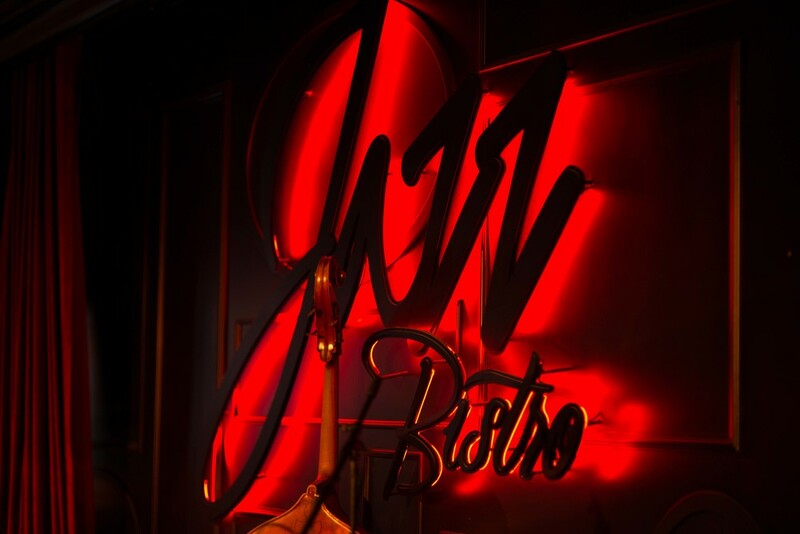 Please visit www.jazzbistro.ca for details, and reserve tickets by calling 416.363.5299 or emailing reservations@jazzbistro.ca! So excited to announce the Call Me a Fool album launch on May 19th, 2015 at Toronto's Jazz Bistro! Featuring Mark Kieswetter, Ross Macintyre, Eric St-Laurent and Max Roach. $10 cover, please call 416.363.5299 or email reservations@jazzbistro.ca to reserve seats. With Call Me A Fool, young Toronto jazz/pop songstress Eliza Pope arrives on the scene with an astonishingly assured (and anything but foolish) debut record. With the assistance of co-producer/arranger/pianist Mark Kieswetter (Emilie-Claire Barlow) and an A-list of Toronto players, Pope delivers a record that mixes well-chosen classics and freshly-written originals and highlights her refreshing versatility as a vocalist. "Feeling Good" shows that Pope can nail a hearty blues song, while "Hit The Road Jack" and the autobiographical "Try" have an empowering attitude. She can also do light and breezy ("Where Will I Find Love") and warm and sentimental ("Here Comes The Sun"), and can shine equally on a tender and mellow ballad ("Little Girl Blue").The result is a record and artist highly worthy of your attention. So excited to announce that this August I will be recording my debut album with Juno winners Mark Kieswetter and Ross Macintyre, as well as award-winners Eric St-Laurent and Max Roach. Expected release in spring of 2015!